The modern connotation for the idea of 'humanism' is that of a philosophy that is only concerned with secular, human affairs. In fact, "secular humanism" is often seen a component to deism, agnosticism or atheism. In the Renaissance, 'humanism' did not necessarily indicate that a 'humanist' did not believe in God; in fact, God remained an important part of humanist thought. Renaissance 'Humanism' was less a philosophy and more an intellectual movement, a re-orientation in scholastic work to focus on the "classics", or what we now call the 'liberal arts': literature, rhetoric, art studies, history and philosophy. Humanism was a reaction against the medieval 'scholastic' tradition of education that emphasized practical, utilitarian training that produced specialists in medicine, law or theology. Humanists decried the crudely pedantic medieval method and encouraged education that might enrich the soul and consider the nature of humanity, as well as educate. Humanists desired well-rounded citizens that could speak and write eloquently, as well as to understand their fellow human beings, thus capable to engage with civic life. 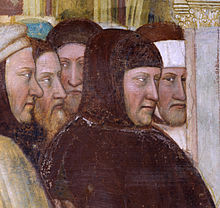 Most historians agree that the Italian scholar Petrarch (Francesco Petrarca, 1304-1374) was the first of the Renaissance humanists and that Petrarch, himself, was one of the first Europeans to critique the era after the fall of the Roman Empire as an era of darkness. According to Petrarch, and other humanist successors, this darkness could be overcome by the careful study and imitation of classical authors. Humanist scholars "went back to the sources" and scrutinized them quite closely, encouraging the mastery of Latin as a way to gain wider and more accurate insight into the minds of the greats of classical thinkers. Early humanists like Petrarch, Coluccio Salutati and Poggio Bracciolini had access to and collected classical manuscripts as they were members of the clergy, lawyers or chancellors of cities, and thus had access to book copying workshops. There were important centers of humanism at Florence, Naples, Rome, Venice, Mantua, Ferrara, and Urbino. This page was last edited on 9 September 2016, at 21:26.